Mumbai: The interest of venture capital (VC) firms in e-commerce start-ups continues unabated as investors scout for India’s own Amazon.com Inc. VC firms invested $8 million to $10 million in two such start-ups last week. In its second investment in the space this month, Bangalore-based IDG Ventures India invested $4 million in Valyoo Technologies Pvt. Ltd, which runs e-commerce businesses for eyewear (lenskart.com), watches (watchkart.com) and bags (bagskart.com). In a separate deal, Helion Venture Partners invested in Purple E-Retail India Pvt. Ltd, which runs baby and kids products site hoopos.com. Buoyed by exuberant growth in recent months, the two investee firms have decided what they intend to do with the corpus raised; Valyoo Technologies is already gearing up for a bigger next round of funding. “We are looking at raising another round of funding by February or March; it will be more than $20 million," said Peyush Bansal , founder and chief executive of Valyoo. With the money the firm has raised, it will start new business units for jewellery, health and beauty products, besides spending on marketing and logistics. According to him, the start-up is seeing a 100% rise in its revenue. Ten months ago, when Valyoo started, it was executing 10 orders a day. Now, it is catering to over 100 orders daily, with an average ticket size of ₹ 1,800 to ₹ 2,000. Hoopos, which will look at raising another round after 10 to 12 months, intends to utilize the money raised now for marketing initiatives, logistics and hiring. “We currently have 6,000 products in our catalogue. 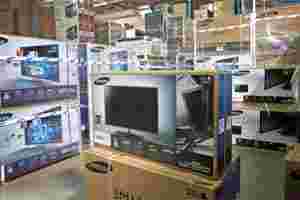 In a year, we would have 18,000 to 20,000 products," said Vijay Jumani, chief executive, Purple E-Retail. The current year has been prolific for e-commerce start-ups in terms of investments, seeing at least four-fold growth in deals struck. In terms of value of such deals, the growth has been about eight times. So far, 46 e-commerce firms have raised $419 million, compared with 11 deals worth $58 million last year, according to VCCEdge, which tracks venture capital and private equity transactions. According to VCCEdge, there are a 100 million Internet users in the country and the number is expected to reach 300 million by 2014. Investors say they are betting on the rise in the number of Internet users, considering the launch of third-generation (3G) mobile services and affordable wireless broadband. Increasing awareness about online shopping, growing comfort with on-time delivery and quality of products are facilitating these transactions. E-commerce in India is at a stage where it will only grow and grow faster in next three to five years, said T.C. Meenakshisundaram, founder and managing director of IDG Ventures. “E-commerce businesses have panned out well in the US and China," Meenakshisundaram said. “Investors are increasingly getting interested in backing leaders in the space or those who could be the top two or three players." Helion’s Gupta said e-commerce will do to retail what mobile phones did to land phones, but warned that not all start-ups will be able to make money. “Too many people have too quickly invested in the space, and (only a) few will make returns," he said, adding that more than 50% firms will lose capital and so will their investors. “Some companies will also make disproportionate returns." Gupta said investors are increasingly backing firms at a very early stage to limit competition as a lot of funds are chasing a few quality firms. Experts say while e-commerce start-ups are scaling up fast, loopholes are also beginning to appear in their delivery mechanisms. If retailers begin to feel they are opening an e-shop just to offer another outlet for people to buy, they are mistaken, and this is why e-commerce is not picking up in India, said Ashish Sinha, head, Pluggdin, which tracks start-ups in the country. “The reality in India is not many companies are able to deliver the service they promised," Sinha said. “Phenomenal growth is difficult to handle." According to him, new customers are not appearing on these sites and it has been persistently difficult to open up markets in smaller cites and towns. “Some companies are sustainable, but there is too much of noise about these businesses right now," he said. “There are investors who don’t have any reason for funding such companies but still do."